As a Canadian NBA stylist, one of the top three questions I get asked by family, friends, colleagues and strangers is, "Do you work with any Raptors or other Toronto teams?". My answer up until a few weeks ago was no. I have Canadian clients who play in the United States, I've written for Canadian publications and wrote about the Raptors - but I've never actually partnered with them on any projects. 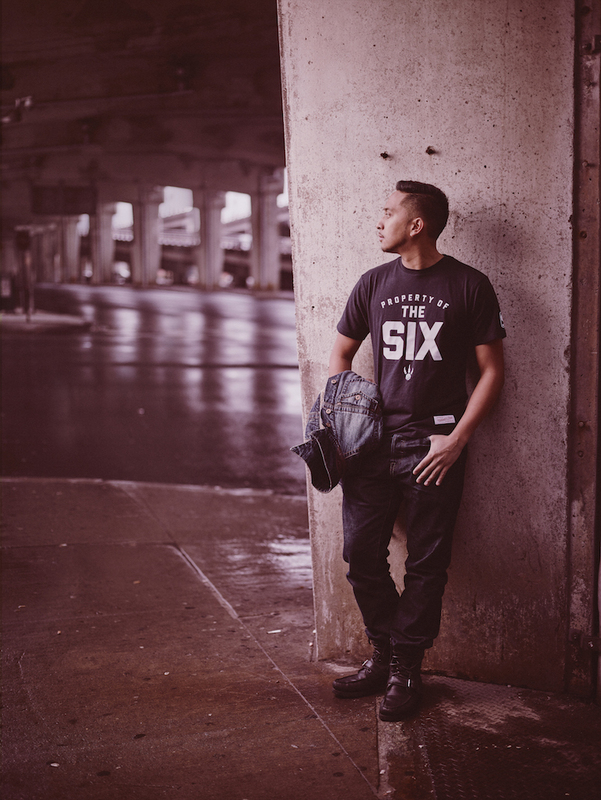 All that changed on Hallowe'en when I was cast to be apart of the latest campaign for the new clothing collaboration between the Raptors and Mitchell and Ness. I was asked by the Raptors' social media department if I was interested in being part of an upcoming photoshoot. They were looking for influencers that best represented the mix of sports and fashion, given that it's an apparel collaboration and I was top on their list. Being a Toronto girl, the Raptors are the main reason why I became a basketball fan, I was honoured. Originally I was under the impression that is was going to be more a social media outreach campaign with other selected influencers, but it turns out it was a little different from that. My first look that was left on the cutting room floor. Shirt by Mitchell & Ness x Toronto Raptors "North Side" collection, sweater by Simons, tech pack sweatpants, rose gold Fuel Band and black Huarache sneakers by Nike, vintage gold necklace, rings by Maison Martin Margiela. I was cast as one of the models (that still feels weird to type) for the newest collaboration between the Toronto Raptors and one of my favorite sportswear brands, Mitchell and Ness. 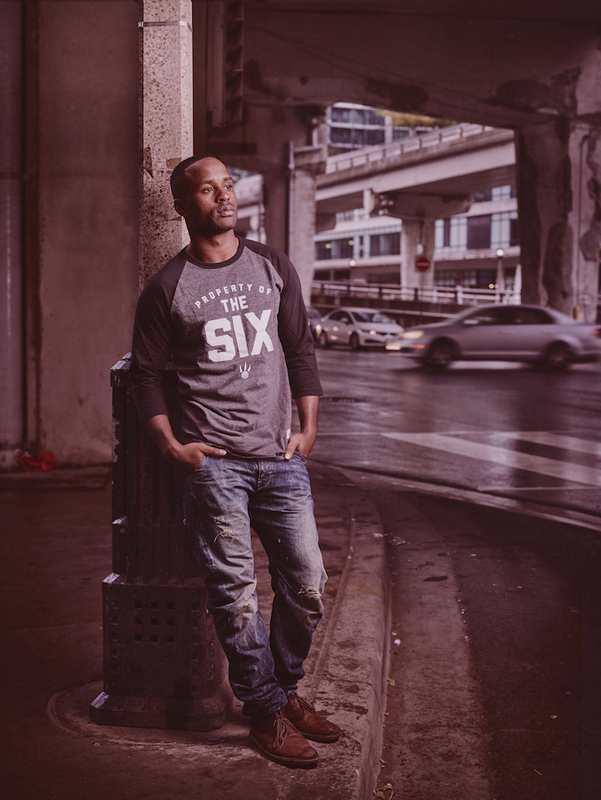 The North Side collection is exclusive to the Raptors' Store at Real Sports at the Air Canada Centre so the creative departments from MLSE (Maple Leaf Sports and Entertainment) and Real Sports wanted to do something different to celebrate the special collection. For the campaign, I modelled alongside Raptors' in-game host Kat Stefankiewicz, NBATV's Akil Augustine and MLSE producer Mark Vanella. The four of us were given two t-shirts each and styled ourselves with an "urban" look using our own personal wardrobes. We were told to bring jeans, hoodies and plain sneakers - so I had to branch out a bit since my style isn't the usual denim and a t-shirt look. We had a make up-artist/hair person who kept us as natural as possible and I think that was possibly the least amount of make up I've worn for a shoot or when I've been on television. However, it was nice to feel like myself because quite frankly, I spend maybe 5 minutes on my make up on a daily basis. The creative crew going over selects from the shoot - note the rain gear. We shot on a cold Hallowe'en morning outside of the Air Canada Centre in the rain and wind. Naturally, being that there was no one on the shoot and my slightly obsessive attention to details, I took over some of the styling duties like helping Kat pick her looks and pinning Akil into shirts. Being in front of the camera and a face of a marketing and advertising campaign is certainly new territory for me! BLUE STEEL. My second look for the campaign and the final edited image used for the campaign. I'm wearing a "Property of the Six" t-shirt from the Mitchell and Ness x Toronto Raptors collection and a Toronto Raptors Mitchell and Ness snapback available at the Real Sports along with camouflage tailored sweatpants by Zara, black leather jacket by Religion, red pony hair booties by Opening Ceremony, rings by Maison Martin Margiela and Simsons and my "Leo" nameplate necklace. It was a great time on set on location at the ACC and I was never so thankful for a Second Cup close by for some necessary caffeine. It was great to work with fellow creative professionals from Toronto and collaborate on a project that so many people from the city would see. It turns out the photos will be used pretty much everywhere! Our group photo is currently being used on the main page of RealSports.ca, as part of a print/banner advertisement in front of the store and will be featured as part of the social media, digital and print marketing campaign - crazy! We are all such serious models. From left to right - Akil, Mark, myself and Kat. I feel very blessed that I was handpicked to be apart of the shoot and represent my hometown to its fullest. I've been lucky to find some success in the US Market but it means a lot that Toronto is showing love for my work and my passion too. If you're in Toronto or follow the Raptors or Mitchell and Ness online - make sure you keep an eye out for images from the photoshoot and please tag me in them as @shegotgame. You can check out the final images from the photoshoot below and I'll be sure to share some of the advertisements as they come out in a later post. It's true what they say - do what you love and you'll never work a day in your life...just make sure you have enough and good shoes!